The Australian side of video game retailer GAME is celebrating Sonic the Hedgehog’s 20th Anniversary in a most curious way. Its video presenter, Ed, is going on the Amazing Sonic Quest – a charity drive that auctions off games from the franchise’s history for a good cause. And if you help him, you can get a free copy of Sonic Generations. Ed has a problem, you see. He doesn’t have all of the 45 Sonic games that he needs to sell. This is where Sonic-mad GAME customers come in – anyone who has an old copy of one of the listed Sonic titles will be encouraged to send it to Ed via post. Doesn’t sound much like a quest on Ed’s part, if we’re being honest. There is an incentive to part with your long-loved Sonic games, though. 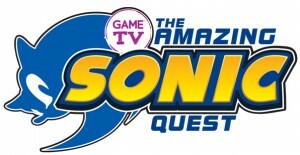 Everyone who is able to check off Ed’s list will get a AU$50 GAME voucher as well as free copy of Sonic Generations. It’s likely that the copy you’ll receive is the Standard Edition, and not the insane Collector’s Edition (that GAME also handily advertise on the Amazing Sonic Quest page), but free is free and it’s all for a good cause, right? Head to the GAME page, see what games Ed is missing and see if you can help him out! No one’s sent in a copy of Sonic Shuffle. Wow. I would, except for the fact that I actually like it, and also the fact that it’s in terrible shape. I don’t think I have the manual, the case it’s in is cracked, and just no. No surprise he doesn’t have Sonic Labyrinth sent in. Who would even have that? I do lol, and Triple Trouble and Sonic Blast and Pocket Adventure. But like hell he’s getting them, it’s pretty rare to see them on eBay in perfect condition anymore, except Pocket Adventure. My question would be why does he have some spin-off games on his list, but not others? Where’s Sonic Drift, and Tails Adventure etc? I could forgive Tails Adventure since it’s not a “Sonic” game I guess, but Sonic Drift should be on the list. I have Sonic Shuffle and I don’t mind giving it away but I don’t have the game case or the manual and the game is scratched up but it worked the last time I played. Also does it have to be the PAL version? I asked them when the collectors edition was announced, and they said you only get the standard edition. So I preordered the collectors edition from jb hi-fi and will get the 3ds version through the quest.